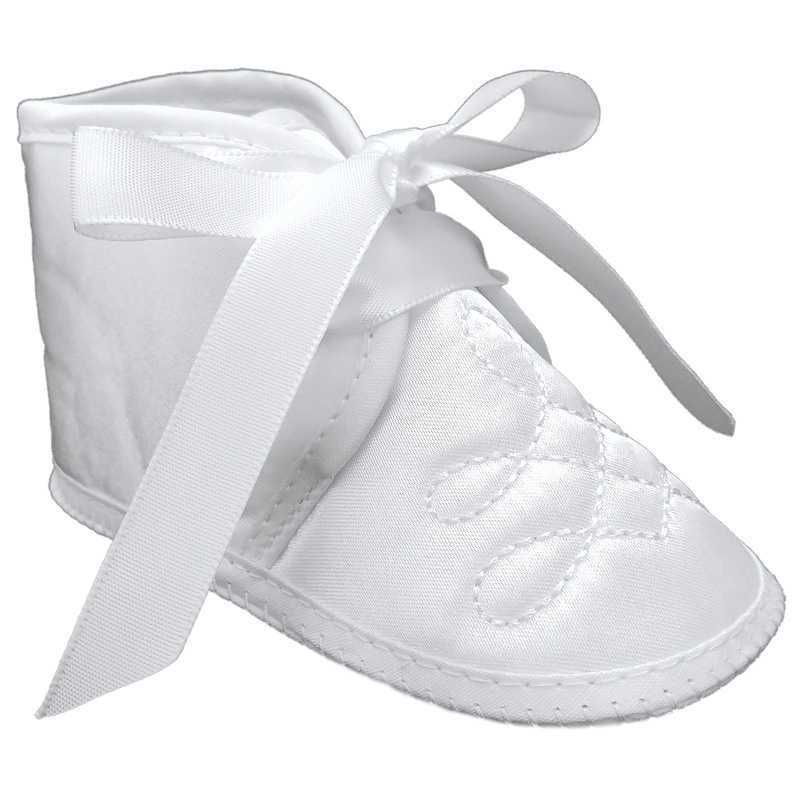 Beautiful baby boys white satin christening pram shoes, perfect for your little boys christening / baptism day, attending a wedding or simply a special occasion. These lovely boot style shoes are of a white satin. They have an embroidered stitch design to the front of each shoe with a satin ribbon fastening to the centre. Complete with labels, inside shoe packaging to keep the shoe in shape and a plastic presentation box to keep the shoes in perfect condition.